Get the best for your external lighting solutions, installations and repairs across Southern New Hampshire & Northern Massachusetts and speak with the lighting specialists from Cornerstone Electrical. 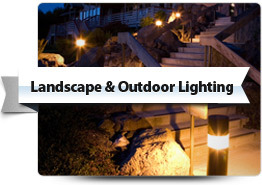 From expert advice, to layout design to installation, we can provide a complete outdoor and landscape lighting solution to suit your residential or business location and budget. Enjoy your outdoor areas for longer with expert lighting design and installation solutions to help highlight desired features in your yard as well as lighting to create the perfect relaxation or entertaining ambiance around your pool or patio areas. We can design and professionally install security lighting solutions that provide the best coverage with state-of the art motion sensors. Our floodlighting solutions are perfect for larger outdoor areas to fully illuminate your entire property and not just part of it. Cornerstone Electrical can provide perfect illumination for all your home’s entrances, driveways, doors and reception areas to ensure you and your guests won’t have to find their way in the dark. Cornerstone Electrical gives you the great benefit of knowing the full “Per Job” cost of your lighting service before any work begins so you can relax once work starts. Make your holiday lights the pride of the neighborhood by having them safely and professionally installed by one of our electricians. We can also help create the perfect lighting for any party or business event you put on. All your lighting installations and repairs are performed by skilled professionals and at Cornerstone Electrical, we’re a fully licensed and insured company so you can relax knowing your lighting is being handled by the professionals. 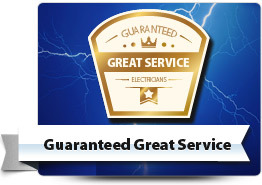 With Cornerstone Electrical Services you’ll receive a first class level of customer care and attention that you deserve. 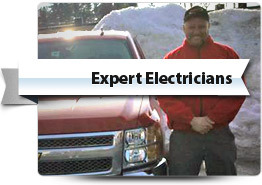 Our friendly team of clean cut electrical experts go that extra mile to keep everything neat and tidy. 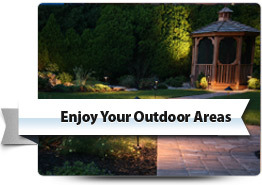 For on-time service and expert solutions and installations for your external lighting solutions across Southern New Hampshire & Northern Massachusetts, call and speak with the outdoor lighting experts at Cornerstone Electrical today.